Your lawn says so much about you as a homeowner. It is the first peek anyone has of your home and your life. A well-kept lawn shows that you care about first impressions and that you enjoy beautiful things. A lawn that uses natural products says that you also care about the environment. If this sounds like you, keep your lawn looking lovely and healthy with a professional lawn care program. 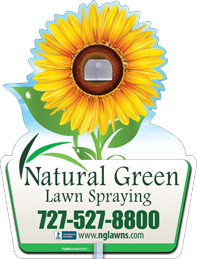 Natural Green Lawn Spraying also cares about protecting beautiful lawns in a natural way. 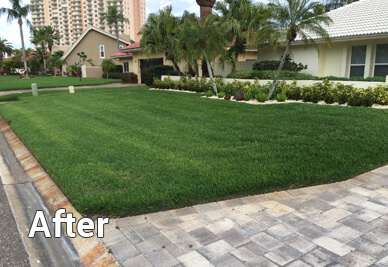 We offer a complete lawn care program for Pinellas lawns. Our lawn program uses only natural and organic fertilizers. With the fertilizers we use on your lawns, nothing harmful leaks out into the environment. When you contact Natural Green Lawn Spraying for our Natural Lawn Program, you receive 12 applications per year that includes natural insecticide treatments for pests, natural disease control, natural and organic liquid and granular fertilizer and weed control. Made from 100% natural and organic ingredients. Safe to use around children, pets and wildlife. All of our products have been proven to work in the field and are backed with scientific research. 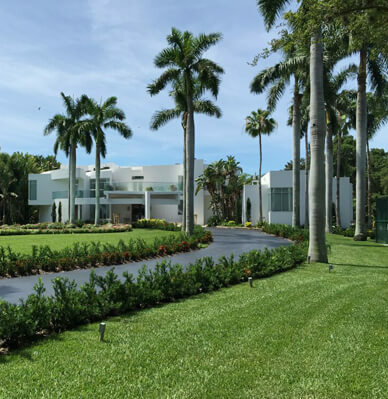 The first step in our complete lawn program is scheduling an appointment where a certified technician comes to your home and evaluates the current condition of your lawn. A specific program is created to handle any current issues and to protect the overall health of your lawn. A complete fertilization is provided for your lawn that includes both granular and liquid applications to promote strong root growth and healthy grass that is more resistant to disease. Natural Green Lawn Spraying provides continual lawn monitoring with ongoing communication with your Natural Green Specialist. If you encounter a problem with your lawn between visits, contact us and we will send a technician to your home free of charge. Our technician will provide special protection to control and guard against specific diseases and insects that can damage your lawn. We also provide broad leaf weed control which controls summer and winter germinating weeds. Soil nutrients are constantly being depleted through runoff due to Improper practices using synthetic fertilizers. Our fertilizers have retention components of soil, helping to keep nutrients (fertilizers) and water in close proximity to plant, tree and turf roots and helping to reduce environmentally harmful run-off. Our Natural and Organic Fertilizers contain many more nutrients than Standard N-P-K fertilizers. These additional nutrients address a wider array of deficiencies. Our fertilizers stimulate beneficial microbe growth. The organic nutrients in our organic fertilizers are naturally chelated. That makes them more bioavailable for plant consumption and they will remain in the soil for a much longer period. Our natural fertilizers are commercially proven to outperform synthetic fertilizers. Our fertilizers increase natural sugars (brix) in plants and turf, making them healthier and less susceptible to disease and insect damage. Accelerates cell division and root development. Increases the permeability of plant membranes, which increases the uptake of nutrients. 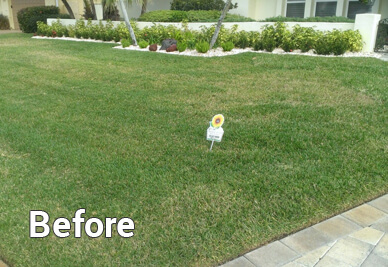 Let us help you keep your lawn healthy and beautiful with professional care. Contact us today to schedule a free lawn analysis with no obligation.